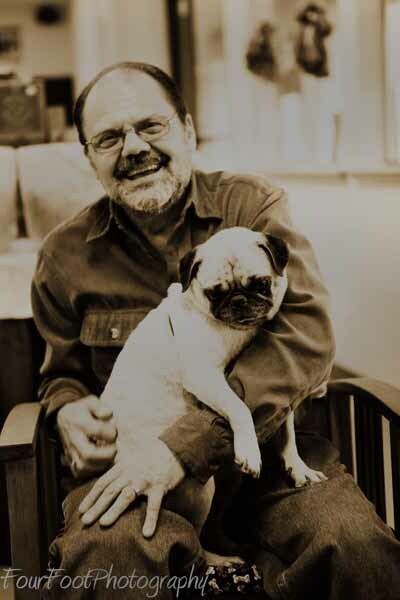 If we’ve met, or you’ve been to the blog, you’ll know that I love me some pugs! 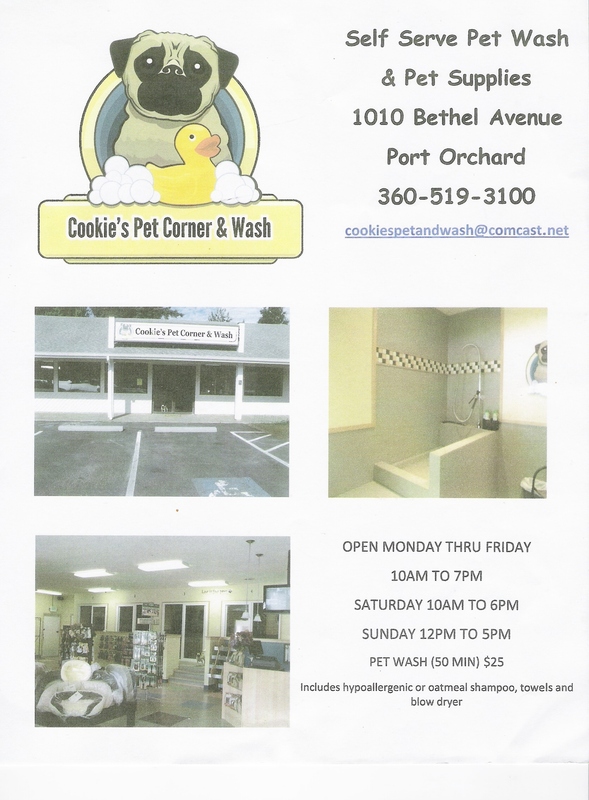 Last weekend the kiddos and I took the Blogdog to a new (50-some days) dogcentric business in Port Orchard, Cookie’s Pet Corner & Wash – 1010 Bethel Avenue, across from the bowling alley. We were promptly greeted by the proprietor (none other than Cookie herself! ), and her able assistant, Dan McNab. A quick tour of the facilities ensued for the two-foots while Cookie showed the Blogdog that he was not all that, racing him around the displays to send him careening on the slippery floor. All in good fun, until somebody lifts his leg. Utter humiliation ensues, greeted with good humor by Mr. McNab, who assures me that these things happen (I swear the dog pottied right before we entered the building…and then again right after – UGH!). My shame was compounded when the two-footed children took it upon themselves to run laps just like the four-footed children. Honestly, they NEVER behave like that in public, but to be fair, it was the 4th errand of the day, which is against my core of my parenting principles: Never, EVER, under any circumstances, make more than 3 stops. Back to Cookie’s! The 411 is you have a spa-type suite with a walk-up tub, aprons, towels, shampoos, brush, cotton, treats and blow-dryer all to yourself for 50 minutes. No bending, no chasing, no clean up! The cost is $25, although there is currently a $5 off coupon in the ValPak (available online if you don’t have one). Additionally, on the weekends Cookie employs another helper who trims toenails for a suggested $5! Now that’s a deal! The $25 is for the space and time, so you can bring all the dogs, and everyone goes home smelling sweet. Mr. McNab spent 17 years in the pet supply business, so the foods, treats, toys and supplies he stocks are all well researched and arranged. My guess is if he doesn’t have something you want, he can probably get it for you! Having rescued dogs himself, I found his advice and tips for my badly behaved buddy-beastie to be spot-on, without being patronizing. In short, dog people are good people, people! 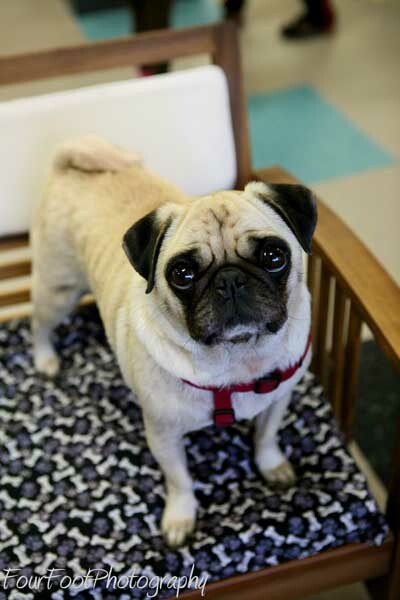 I hope you’ll help me welcome this business to Port Orchard and for certain you must, must stop by to meet Cookie, she is a VIP, Very Important Pug. She’ll charm your socks off and get you to scratch her cute little curly tail in the process!